IT organizations are dealing with hybrid infrastructure. In fact, as more organizations move to the cloud, there are more joining the ranks of hybrid infrastructure. 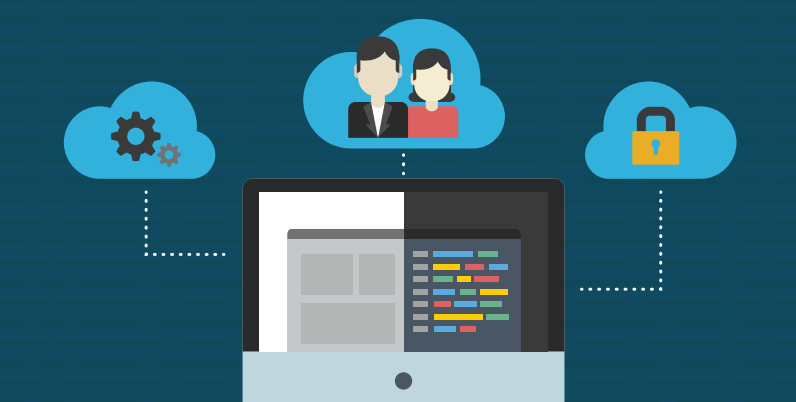 Having significant IT resources on-prem isn’t necessary to be considered a hybrid platform. Even just having your user systems (Windows, Mac, and Linux laptops/desktops) and your WiFi network is enough. The challenge for any hybrid organization is how to deal with identity management. When it comes to Google’s approach to IDaaS, many folks wonder if it will work for a hybrid infrastructure. For starters, it’s important to talk more about hybrid infrastructure. Many people think that hybrid means that you have your own data center or servers located on-prem and then cloud infrastructure as well. When it comes to how to manage your identities, the definition for hybrid becomes a lot wider. IT admins are responsible for connecting their users to systems, applications, and networks regardless of the location or platform. In fact, the challenge for IT is how to have True Single Sign-On™ across a wide range of IT resources. Google’s IDaaS approach is to leverage G Suite Directory as the cloud identity management platform. The question for IT admins becomes, will the G Suite Directory be able to handle a user identity across an organization’s entire IT infrastructure? 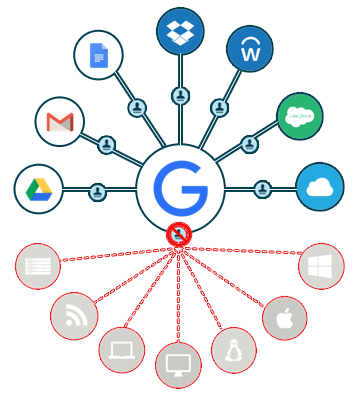 Google IDaaS is effectively a user management system for G Suite and a web application SSO platform for a select few web applications. Google’s Identity-as-a-Service approach doesn’t take into account on-prem infrastructure and resources. Windows, Mac, and Linux systems are out of scope of the cloud-hosted directory. As are Infrastructure-as-a-Service platforms from AWS, Azure, and others. On-prem WiFi resources can’t be connected to the directory, either. 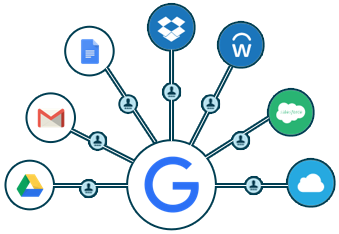 Google’s directory service approach is more a user management system for a specific platform rather than an independent identity provider. The good news is that there is a better approach to solving the hybrid infrastructure identity management problem. Leveraging Directory-as-a-Service®, a modern IDaaS platform, IT admins can securely manage and connect user identities to necessary IT resources, including Windows, Mac, and Linux systems, web and on-prem applications, cloud servers hosted at AWS and elsewhere, and WiFi and network infrastructure. 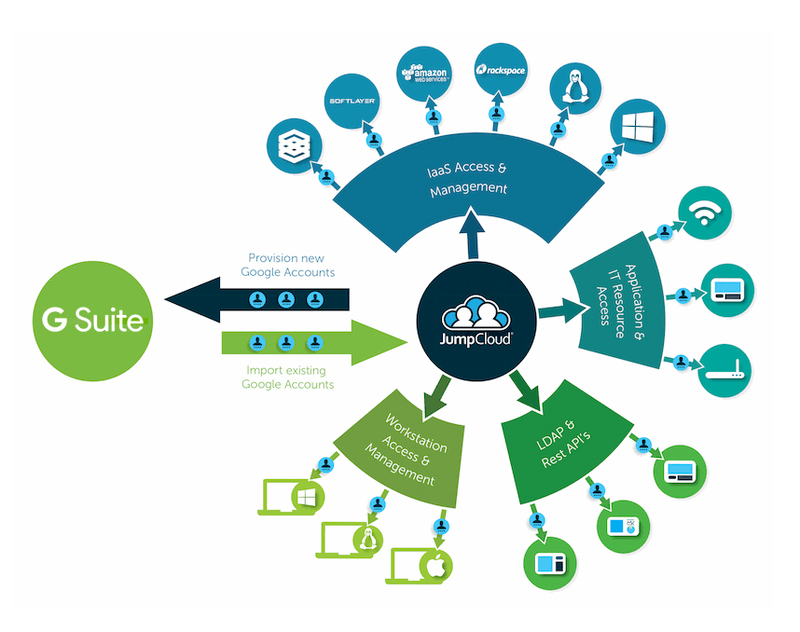 A single user identity can be connected to on-prem and cloud IT resources. What’s even better is that the single user identity can be your G Suite or Microsoft Office 365 credentials. 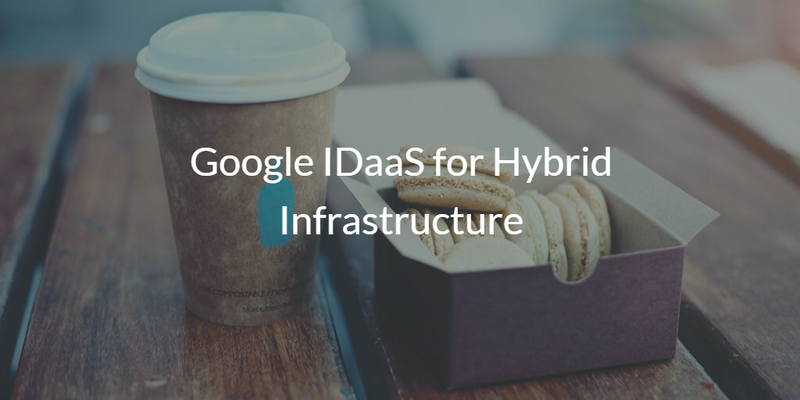 If you would like to learn more about Google IDaaS for hybrid infrastructure, drop us a note. Directory-as-a-Service may be a great alternative to your Active Directory instance while still using your G Suite credentials. With our cloud-hosted directory, you can completely move your identity management infrastructure to the cloud even if you have a hybrid environment. Since your first 10 users are free forever, give our IDaaS platform a try yourself.